A mature, Surety Agency solution utilized by hundreds of agencies both in the United States and internationally. Bond-Pro has improved this product over past 25 years rendering major 8 releases, and invested over 100,0000 hours of development time. A familiar, easy-to-use, Windows interface that enables users to work more efficiently by quickly searching and navigating between records without the frustrations of refresh lag and consistent connectivity often times associated with web based applications. Provides complete and real time visibility and communications between all personnel and departments. 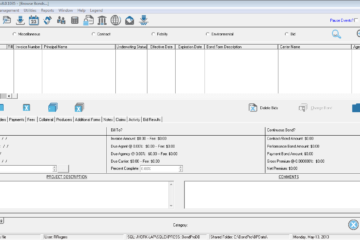 Life Cycle Management includes requests,bids, execution, riders, and renewals/cancellations. 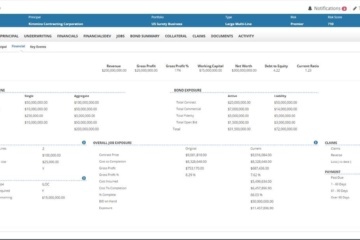 All Bond accounting functions are managed within the software including AP/AR, sliding rates, sliding maintenance, automatic fees, etc. User defined rules for default calculations based on bond, carrier, principal, etc. 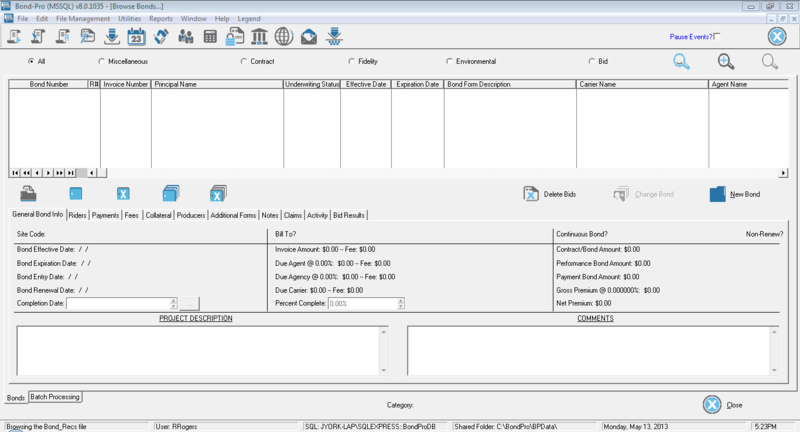 editing and processing Bonds and Custom forms in both PDF and MS Word file formats. Our Forms Library contains in excess of 12,000 forms, and is continually updated. Surety specific claims and collateral processing, tracking and reporting. 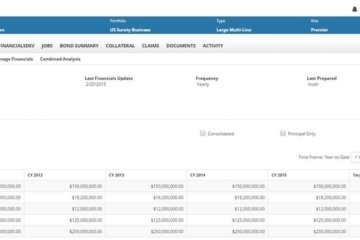 Manage and report on collateral including status of active, released, drawn, or expired. 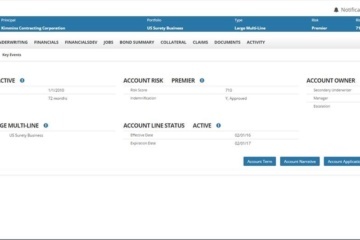 Apply and manage collateral against claims.